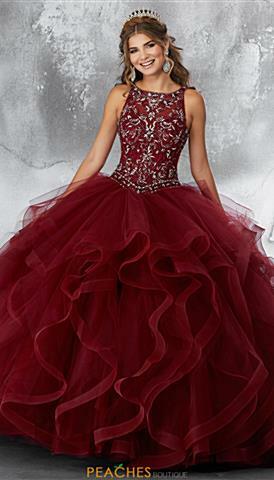 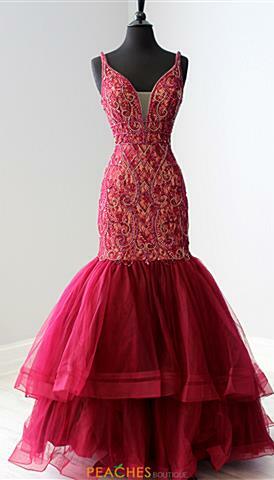 If you are in search of an elegant and captivating color, burgundy prom dresses are the hottest trend right now. 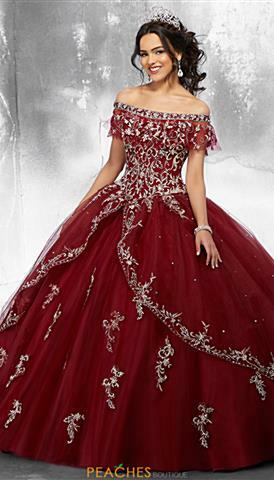 This rich shade compliments all skin tones and gives a regal air to the burgundy prom dress wearer. 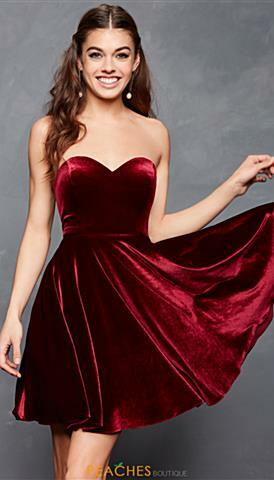 This trendy color, sometimes referred to as maroon or wine, looks sophisticated and sleek, and is the perfect shade for all kinds of events. 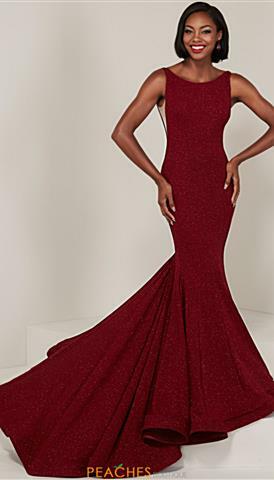 If you are looking for your ideal burgundy homecoming dress, why not try a short beaded A-line dress that moves with your body. 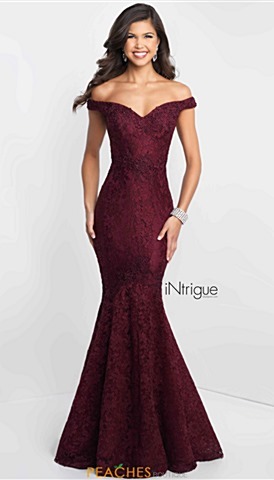 If you are in search for a stunning dress for a wedding you are attending, opt for a simple fitted burgundy prom gown and let the elegant color and cut help you stand out while not upstaging anyone. 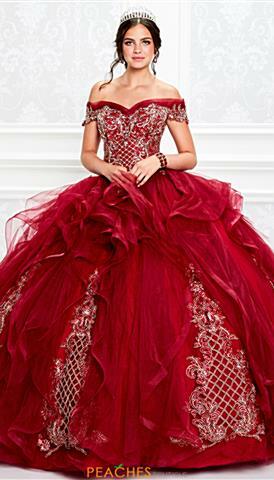 This color has also become very popular for quinceañeras and sweet 16's, especially those taking place in the fall. 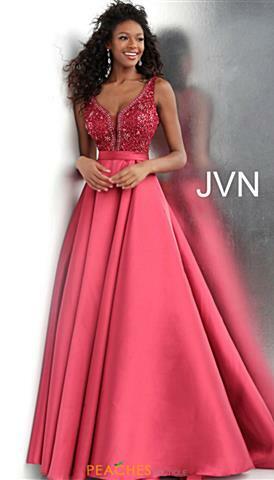 Whether you are looking to choose form a selection of dreamy burgundy prom dresses, mermaid style dresses, or are looking for a flattering a-line or a sleek a fitted look, you can find it in this amazing burgundy color at Peaches Boutique.